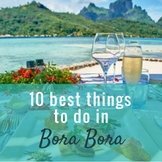 As an over water bungalow exudes intimacy and romance it is the perfect setting for a honeymoon vacation, Tahiti wedding, or for romantic beach get-aways. 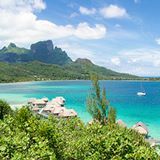 French Polynesia offers the world's largest selection and most are set over spectacular calm, warm, blue lagoons. 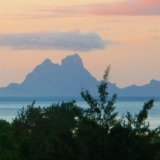 So an OWB stay is an essential part of Tahiti luxury vacations. What Makes a Bungalow Over the Water So Special? 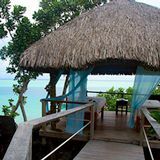 Designed in the style of a traditional thatched-roof island house (fare), these bungalows are an aesthetic blend of exotic, natural materials which compliment the environment while incorporating all the amenities of a first-class hotel room. Overwater villas feature a private deck with stairs to the water below. They have a covered pergola over part of the deck so you can choose to bask in the sun, jump into the warm water, or simply relax and enjoy the views. 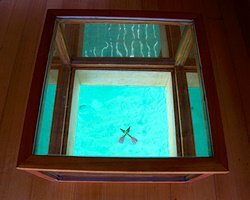 Most over the water bungalows have glass floor sections or glass coffee tables to view the blue lagoon and sea life passing by below. You can turn up the romance by arranging breakfast to be delivered in a flower decorated canoe and enjoy the pleasure of 'surrounded by water' intimacy while feasting on luscious island fruits. 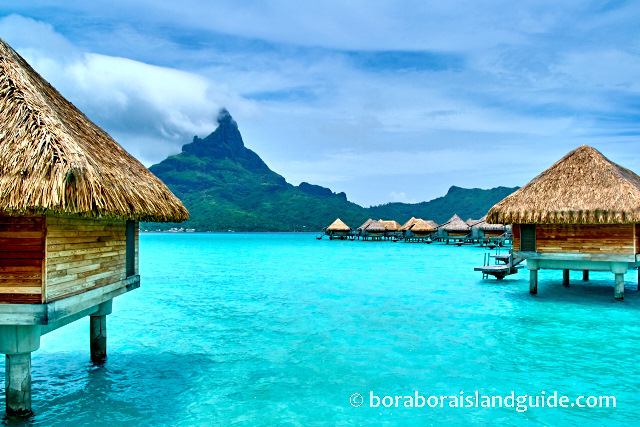 An over water bungalow stay will be very different to any hotel holiday you have had. 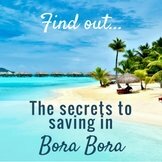 Here are 12 essential tips to help you know what to consider when choosing the best overwater bungalow. 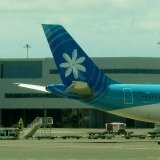 All international flights to French Polynesia arrive at Papeete on Tahiti, the main island. 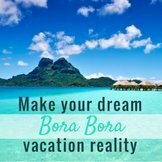 So we're giving you details of the overwater villas at hotels in Tahiti. 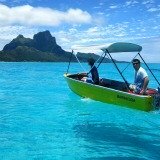 From there it's a quick boat ride across the water to visit gorgeous Moorea which offers 5 over water resorts. 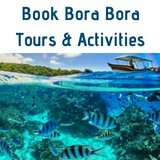 Bora Bora is the ultimate over water vacation and honeymoon destination with 9 OWB resorts to choose from. 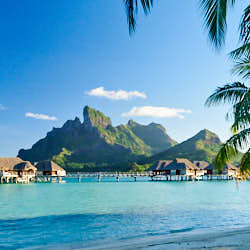 Tahiti has two resorts on the main island that offer OWB's. 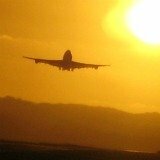 Do not choose one of these as the destination for your honeymoon vacation. 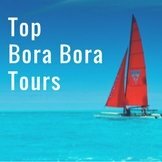 You will not have the full over-water-in-paradise experience here, as most are situated right at the water's edge, plus the Tahiti lagoon does not have pristine, clear water like most other Polynesian Islands. 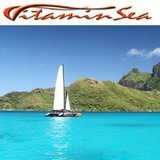 When you arrive in Tahiti you will be awed by the spectacular view across the water to a large mysterious isle stretching along the horizon. 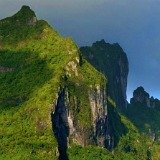 This is heart shaped Moorea, the pineapple island. Just a ten minute flight or a one hour ferry ride gets you to this 'island of love'. 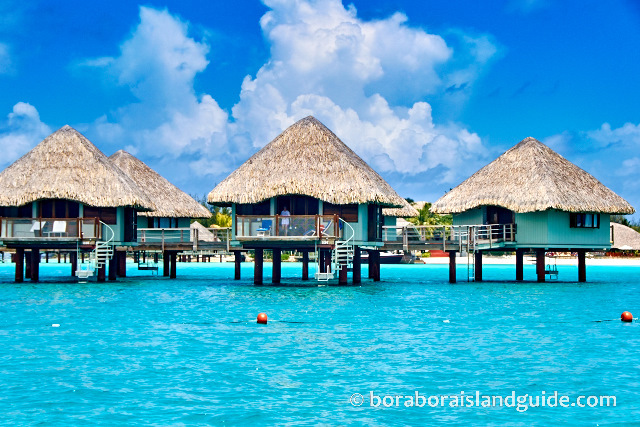 Those enticing pictures you've seen of dreamy Polynesian style bungalows sitting out over an incredibly blue, pristine lagoon are usually Bora Bora. 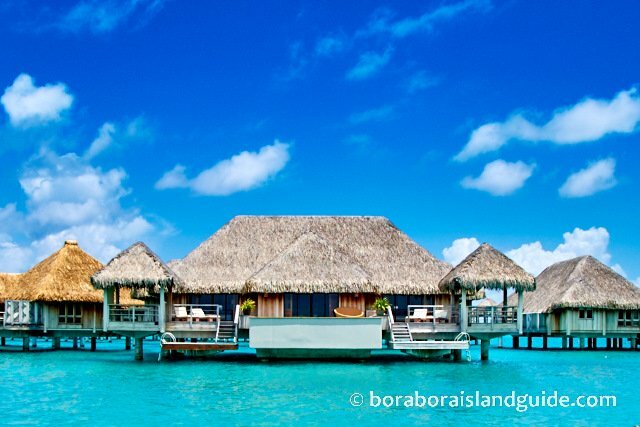 This magic island has more over water bungalows than anywhere in the world. 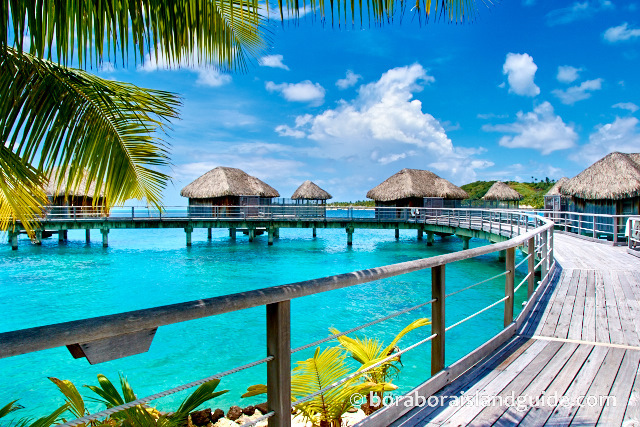 Some are virtual over water palaces and epitomize Tahiti luxury vacations. 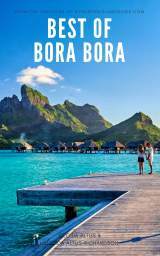 Go to the Bora Bora Over Water Bungalows page to see all the amazing choices in location and inclusions. 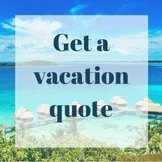 These are not only for those enjoying a honeymoon vacation. 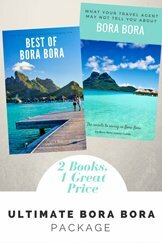 Tahiti's finest resorts are here. A stay in one of these is life-changing.